When it comes to customer service, Brittany was a great pleasure to deal with. She was upfront with pricing and she doesn't pressure you to get additional services you might not need at the moment. I would definitely go back to do my service here and hopefully trade in for a new one in the near future. This was my second Subaru purchased from Alex and I couldn't be more pleased with both experiences. Alex and this dealership were personable and honest. Alex went out of his way to assure that understood all the ins and outs of my new vehicle. A great group of folks!! They help you with everything even with the insurance. Answer every question you have. Take care of you give you all the advice. Give you all of other option you can do to buy the car of your dream. 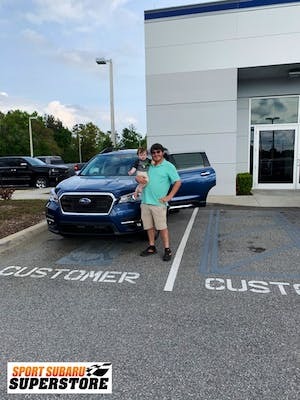 Delvin sold me my Ford Focus in March 2019 and he was extremely helpful. Delvin took the time to take pictures and a short video of the car I wanted on their lot. He was a great communicator as I was able to text him throughout the day and he was very prompt in his responses. Additionally, Eli did an amazing job financing my car. I certainly recommend doing business with Delvin as he was very personable and transparent in getting everything done. Our salesman Doug Rowland was extremely professional and efficient. We were able to to do most of the work ahead by email. 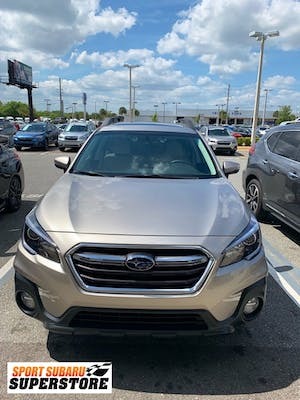 All paperwork was ready as promised when we arrived to pick up my New Subaru. Ben couldn’t have been more helpful or kind. This was the best car buying experience! The family loves our new Subaru Accent. Thanks again! Stopped in to look at the Forrester. Doug Rowland, our sales representative was very informative and helpful in addressing our questions. He even drove us to the back of the lot to look at new Forrester's that just arrived, but were not cleared to put on the lot, to help us understand the difference between vehicle options. Check-in was easy. Service was completed in less than one hour with an appointment and that includes a car wash. Coffee/lattes machine was nice.